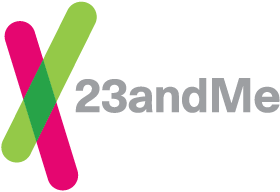 The 23andMe Carrier Status* reports are included in the Health + Ancestry Service. The 23andMe Carrier Status* reports tell you about variants that may not affect your health, but could affect the health of your future family. Being a "carrier" means you "carry" one genetic variant for a condition. Carriers do not typically have the genetic condition, but they can pass a genetic variant down to their children. Understanding your carrier status helps you work with your doctor to prepare for the health of your future family. When viewing your Carrier Status reports, please keep the following key information in mind. No. Our reports generally include the most common variants associated with a condition, but they don’t include all possible variants. This means that our test can’t detect all carriers. Visit each report to learn more about which variants we test for each condition. Many of the conditions included in our Carrier Status reports can be caused by hundreds or even thousands of different genetic variants. While our Carrier Status reports cover many variants, they don’t include all possible variants associated with each condition. In order for us to include a variant in a report, the variant must be detectable by our genotyping technology and pass rigorous validation testing to optimize test accuracy. Understanding the Limitations of Your Reports on Health and Traits.